Ah, the Nutty Irishman. It was a Wednesday night many years ago when my neighbors and I walked the block down the street to the neighborhood Irish pub to enjoy some midweek music and fun. I was in the mood to try something new, because we had been enjoying chocolate martinis for a few weeks. My bartender looked at me and said, “I have something I know you will love,” and handed me a small rocks glass with creamy goodness inside. A new favorite was born. Bailey’s, of course, is Irish cream. Frangelico is a hazelnut-flavored liqueur. And together they are magical. I have also found that this tastes really good in coffee or in hot cocoa. For coffee it just gives it that extra adult flavor. For hot cocoa, you end up with an even richer and creamier flavor. Anything nutty with chocolate is usually a good combination for me! In fact, you could probably even put in some chocolate syrup to your coffee before adding this, making it a sort of Nutty Irishman Mocha. All kinds of possibilities exist! And I am willing to try them all. Now, buying Bailey’s and Frangelico can quickly add up. A good bottle of Bailey’s can run you anywhere from $35-45 dollars or more. And Frangelico costs around $20. Not to sound like an alcoholic or anything, but I can go through these pretty quickly, especially in the winter when having a hot cocktail is a great way to unwind when freezing. A few years ago, with the guidance of some very kind souls at local liquor stores, I found a cheaper and easier way to make my favorite beverage. 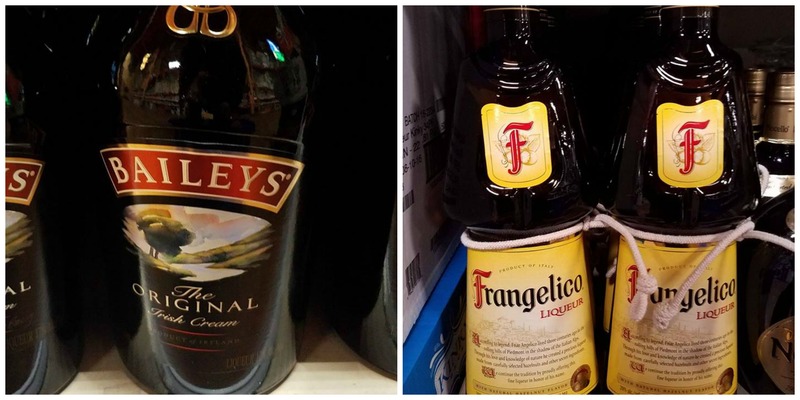 Francesca is a generic Frangelico that usually goes for about $10. 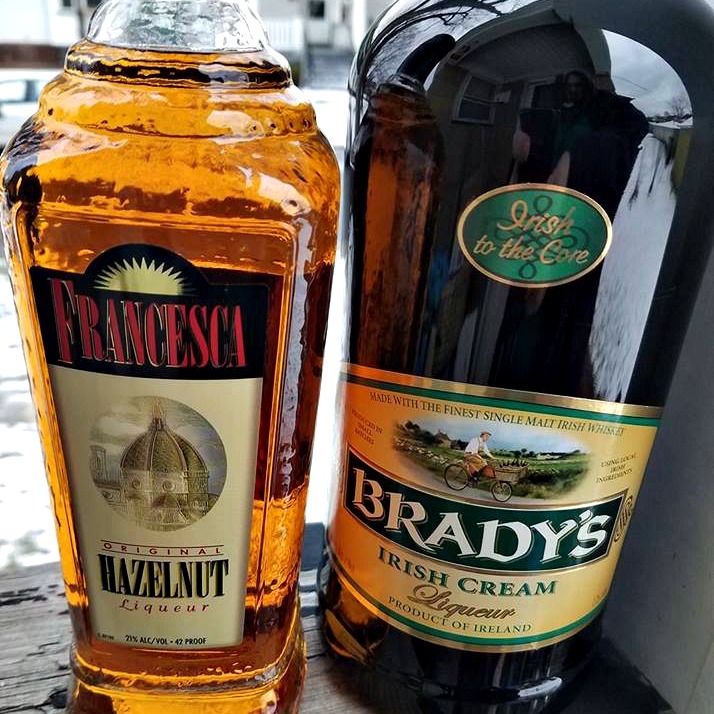 Brady’s is a generic Bailey’s that actually tastes really close to the real thing. I can get a 1.75 liter jug of this around here anywhere from $15-20. Those savings can really add up! So don’t be afraid to reach for those lower shelves. You can also try to mix in other tastes with your Nutty Irishman, even if that means it is likely to be a different name. Sometimes I make a version with Amaretto instead of Frangelico. (I have looked and this doesn’t have a special name that I can find.) Sometimes I may add vodka or Kahlua. As always, you can experiment and discover all kinds of new flavor combinations that you never tried before. And I always like to also try them in my coffee and/or hot cocoa when I’m looking for something warmer to drink. How do you like your Nutty Irishman? What other combinations have you tried?